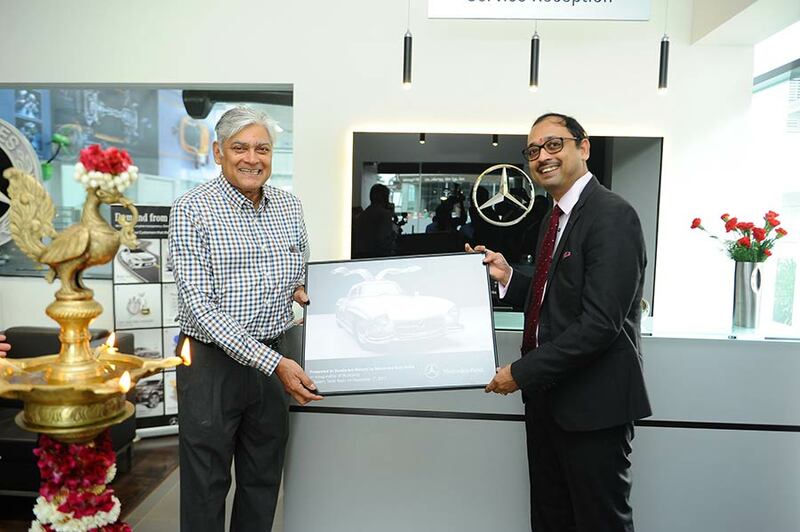 Mercedes-Benz, India’s largest luxury car maker inaugurated the first ever dedicated luxury car workshop in Salem. Strategically located in Konerikarai, the state-of-art workshop was instated by Sundaram Motors. The inauguration of Sundaram Motors Salem underlines Mercedes-Benz India’s focused strategy to persistently strengthen its after-sales footprint to drive customer delight through superlative vehicle ownership experience, and create a tangible differentiator that wins customer trust and helps the Three Pointed Star to gain consistent market traction. The new facility will not only cater to the requirements of Salem but also help the luxury marquee to create brand awareness and influence potential markets. The world-class workshop was inaugurated by Santosh Iyer, Vice President – After-Sales, Retail Training, Mercedes-Benz India and Mr. Sharath Vijayaraghavan, Executive Director, Sundaram Motors. India is an emerging luxury car market and Tier II & III cities like Salem will play an important role in tapping the true potential of these markets. At Mercedes-Benz India, it is our endeavour to provide the best customer experience by offering our patrons latest products and services. With the inauguration of Sundaram Motors Salem, we are pleased to venture into yet another growing luxury car market in India based on our ‘Go to Customer’ strategy. We are glad to have Sundaram Motors as our partners, who with their deep market experience have ensured a superlative customer experience. 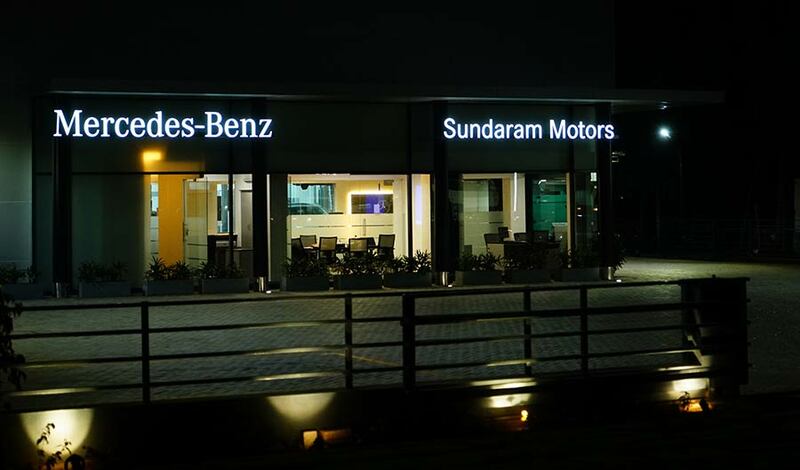 With the introduction of Sundaram Motors, we are deepening our commitment further and providing ‘modern luxury’ in its truest form to our customers in and around Salem. The state-of-the-art workshop is conveniently located near Kadhampatty bypass in Konerikarai. The workshop is spread over a cumulative area of approximately 15,000 square feet, staffed by 13 professionally trained staff. It hosts 5 bays dedicated for maintenance and repairs. This facility will be equipped to service all the variants of Mercedes-Benz cars. Sundaram Motors is located at S.F.No 130/3D, D No -184 Konerikarai, Kadhampatty bypass, Salem District – 636005. Mercedes-Benz has the densest reach in the country with 89 outlets across 43 cities. The strategic network expansion drive not only enables the brand to reach out to every potential customer but also serves the existing customer base by providing them the best of the Mercedes-Benz world.